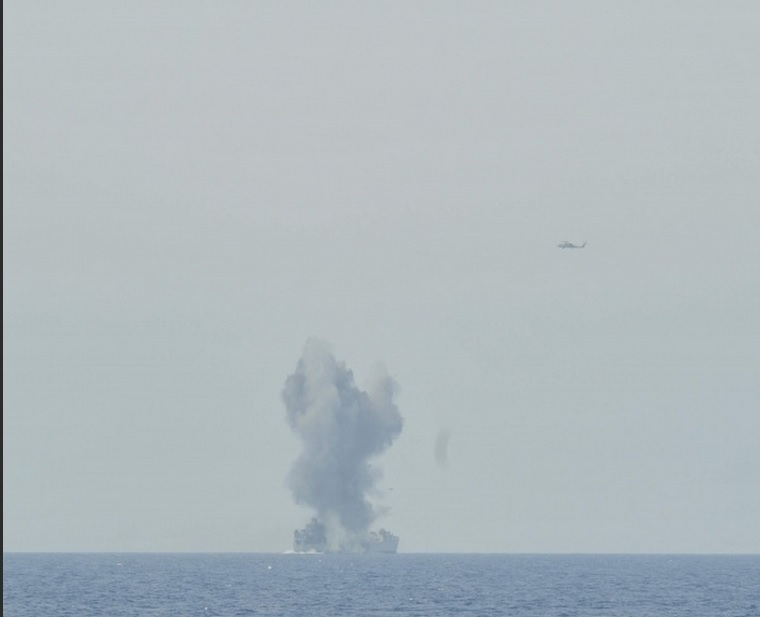 One of the two torpedoes fired at ex Serdar finds its target. The decommissioned Terrebonne Parish Class tank landing ship Serdar left us with a big bang. On 30 May 2014 she was sunk as a target during the final day of the Beyaz Fırtına 2014 naval exercise. She did not down easily. She was hit by a FIM-92 Stinger, two AGM-114 Hellfire and one RIM-7 Sea Sparrow missiles. According to media report one AGM-119 Penguin missiles is also fired at ex- Serdar but I was not able to verify this visually. On 3 June 2014 Turkish Navy published some photos from the firing exercise one photo clearly show the firing of the Penguin missile. 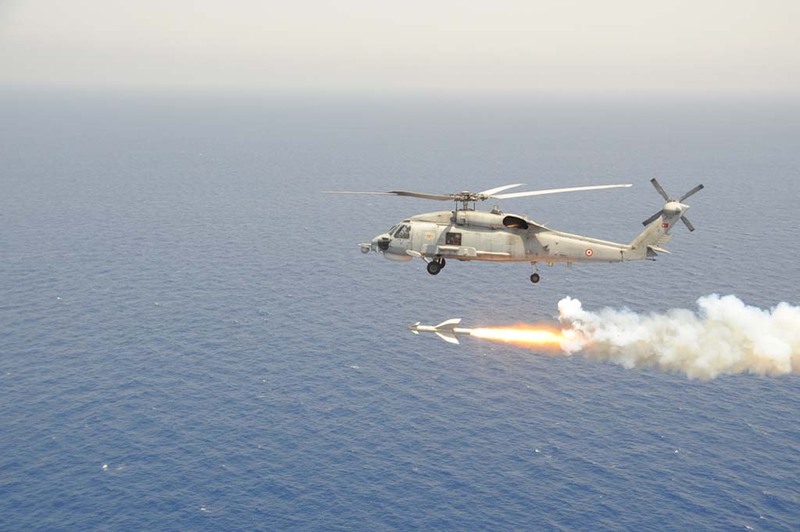 One Turkish Seahawk helicopter is firing a AGM-119 Penguin missile to LST Serdar. In addition to these missiles two undisclosed torpedoes were fired from TCG Saldıray and TCG Batıray. The old landing ship was not the only target. 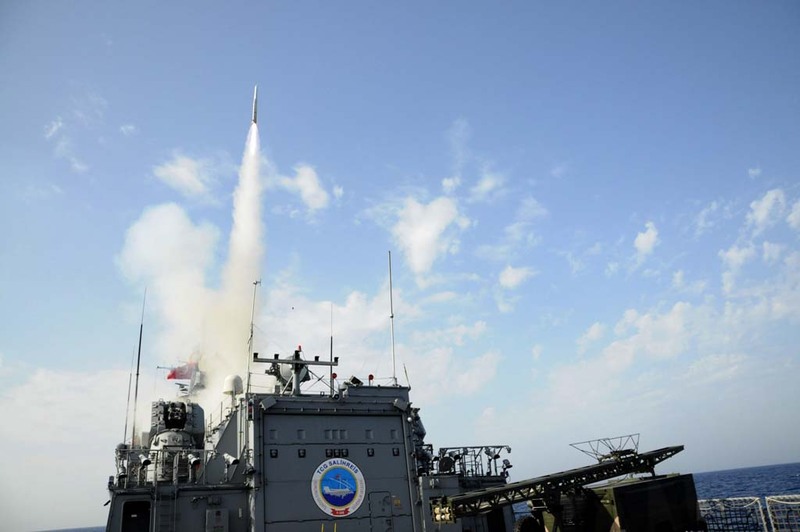 Two RIM-162 ESSM missiles and one RIM-116 RAM missile were fired against drones launched from F-246 TCG Salihreis. This is the first ESSM firing from Turkish MEKO 200 Track II B class ships. 8 frigates, 3 corvettes, 18 fast attack craft 6 submarines 3 mine hunters and 31 other vessels took part in the exercise. It is good to practice such things. Let Turkey’s Navy not fire on any other landing ships. But if it does, let the shot run true. You can be sure we will recognize the passing of this great ship at the Westchester County reunion in October. I would much enjoy getting in contact with any of our TCG Serdar shipmates and add them to the ship’s roster. Nolan Nelson Secretary/Treasurer at nolan.nelson@comcast.net.